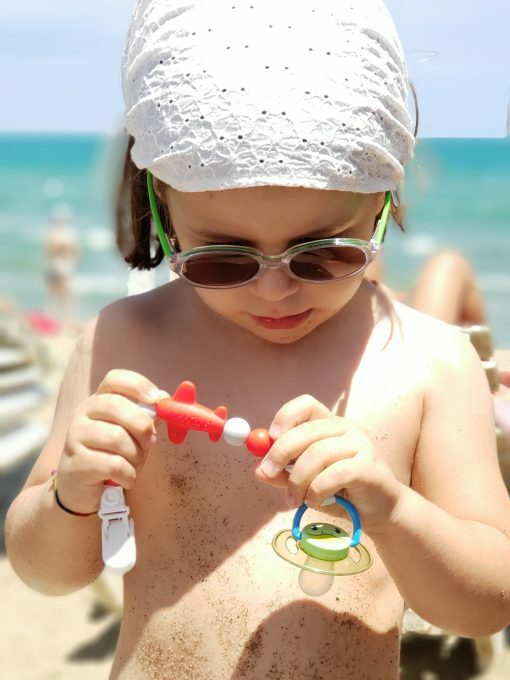 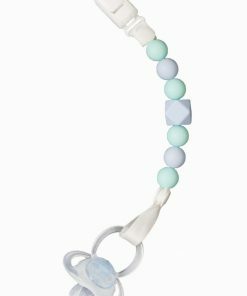 Launched exclusively in Harrods in May 2018, our new Jet-Set Red dummy clip is for those little babies on the move. 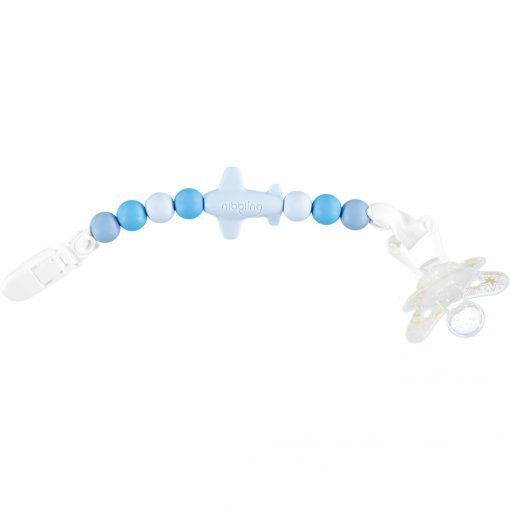 This unique unisex design is the perfect accessory to keep babies dummy clean and safe while being super stylish. 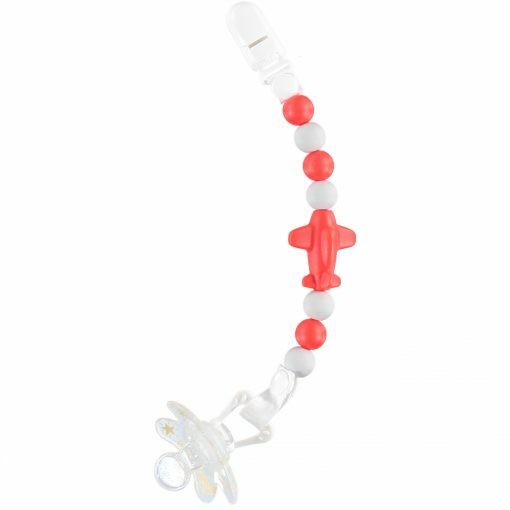 Attach the clip to the pram, baby carrier, car seat or clothes. 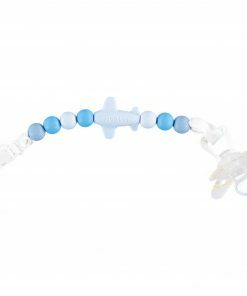 The advantages of the silicone chewable beads and the simple way it can be cleaned and sterilized make it different from anything else on the market. 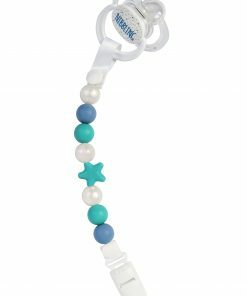 The New and Exclusive Jet set Dummy Clip is a fun and safe way to attach your child’s dummy onto their pram, sleep sack, car seat or clothes. 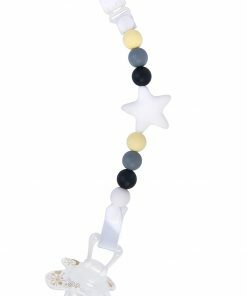 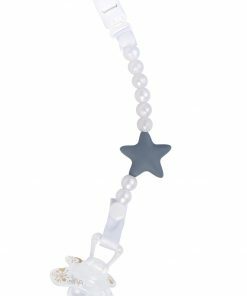 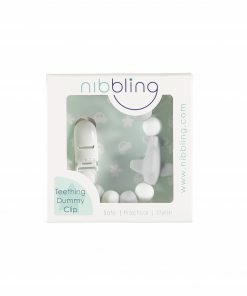 This small and light dummy clip is suitable from birth and comes in 4 different pastel colours. 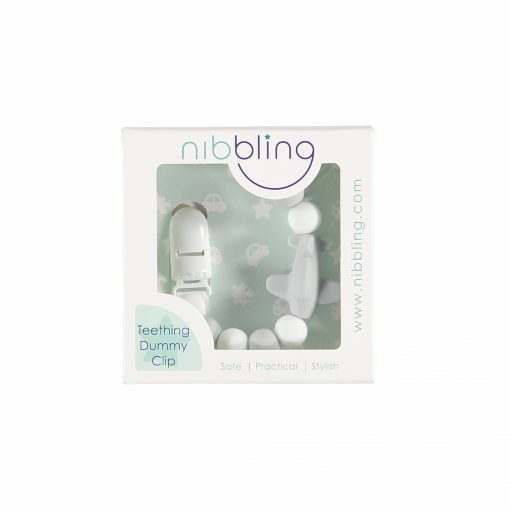 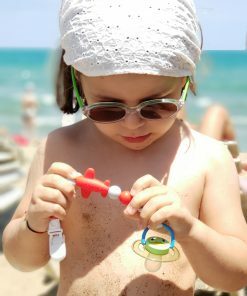 Nibbling necklaces, bracelets and dummy clips are made of food grade silicone. 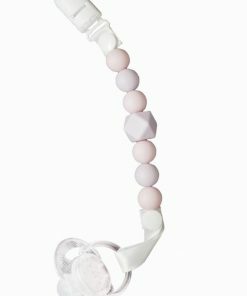 The silicone is free from: BPA, Phthalates, Heavy metals such as Lead,Arsenic,Arsenic.